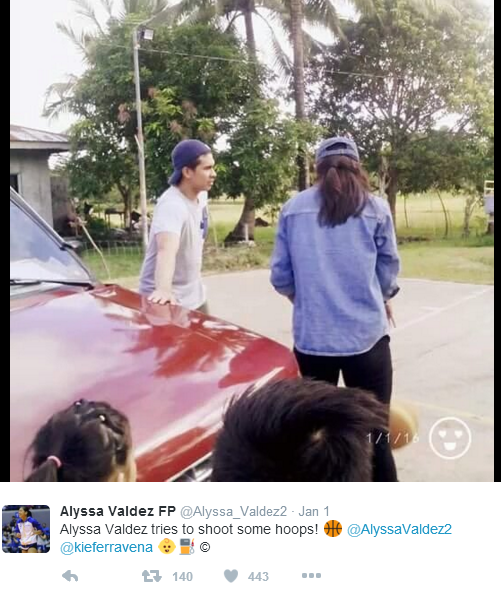 Kiefer Ravena Teaches Alyssa Valdez How to play Basketball plus Sweet Joke: Photos Here! Tweet Scoop: Whether it's basketball or volleyball, the Phenoms of the Ateneo de Manila University know how to bond. 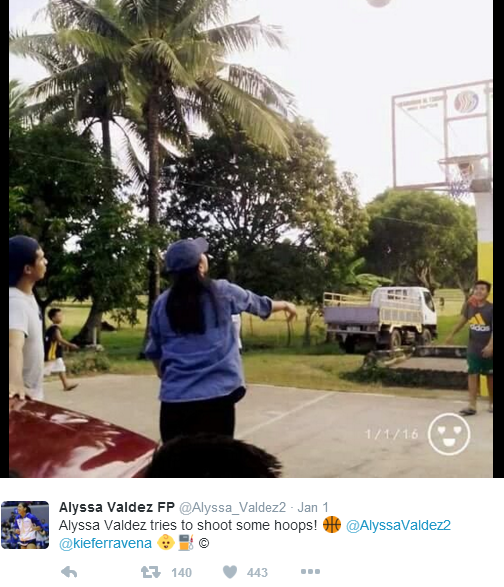 In fact, Kiefer was spotted on the first day of January 2016 teaching Alyssa how to play basketball. Oh wow, look at Alyssa's newly-discovered shooting stroke from the freethrow line. She surely knows how to flick that wrist just like spiking the volleyball. When asked why Kiefer taught Alyssa how to shoot freethrows, the soon-to-be pro-baller said "Lagi ko kasing namimiss.